Like so many around the country, I have been dismayed by the tone of anti-Muslim, anti-women, anti-fill-in-the-blank rhetoric during the 2016 presidential campaign and afterward with the election of Donald Trump as president. I have been torn about how much to weigh in, given I remain a journalist committed to not publicly endorsing politicians. With the publication of my first book, Faith Ed, however, I put myself firmly in the position as an advocate for social justice, as an advocate for respecting all, regardless of religion, race or anything else. What does any of this have to do with Faith Ed? Everything. For, my book is about the power of education to teach about religion and reduce religious bigotry and ignorance. I wanted to give my followers a heads up on a few of my upcoming and future events and workshops that aim to further the cause of promoting respect for all religions through education as well as a few events aimed at helping writers in general with their work. Religion, Social Studies and You: It’s a two-part webinar series for social studies educators. The first part, on Feb. 9th, is about Hinduism and features Murali Balaji of the Hindu American Foundation and teacher Christopher Murray. In the second part, on Feb. 16th, at 7 p.m., I will lead the seminar on lessons learned from controversies around the country in world religions courses. Find out more about registering for the seminars at this link. Writing About Religion course: My course at Grub Street has begun and will run through Feb. 12. While registration is over for this course, I will be teaching a workshop on writing about religion this summer at Chautauqua in Week Six, July 29-Aug. 5. Stay tuned for more info. Registration begins in April. March 3, 2017: Promoting Your Book: An Author and Publicist Reveal Their Tricks of the Trade: I’ll be teaming with my Beacon Press publicist Caitlin Meyer in this three-hour workshop to share tips with authors, authors-to-be on promoting your book and working with a publicist. Time: 10:30 a.m. to 1:30 p.m. To register, go to this link at Grub Street. April 1, 2017: Muse & the Marketplace 101: Honing Your Networking Skills before the Big Writing Conference. Aimed at attendees of big writing conferences, this workshop includes tips on meeting agents, authors and editors and making that dreaded elevator pitch. Time: 10:30 a.m. to 1:30 p.m. Watch Grub Street listings for this one. 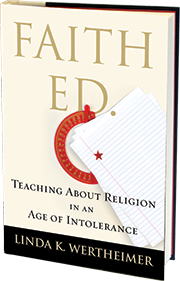 Reminders: You can find a free downloadable reader’s guide to Faith Ed on my website here. 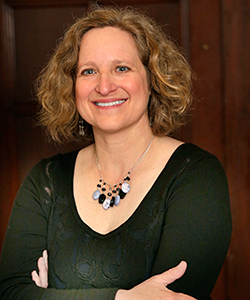 For speaking inquiries, contact me or Suzanne Swift at the email: readon@jewishbooks.org. Thanks, as always, for reading. 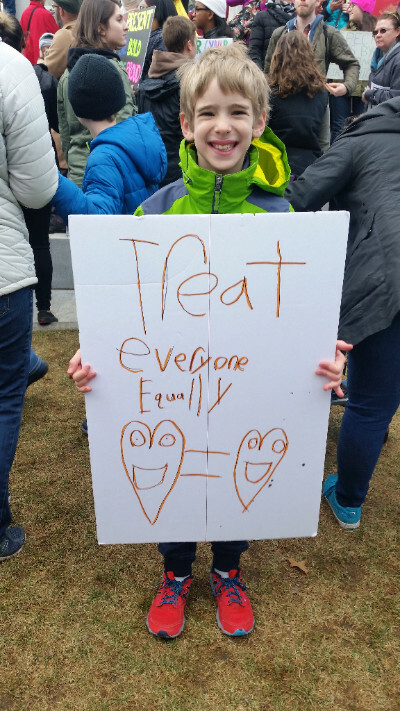 I’ll include my favorite snapshot from the march on Boston below. 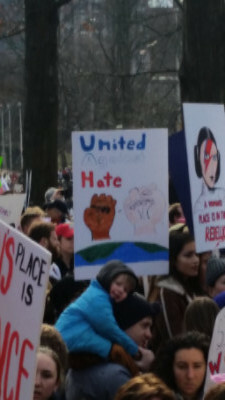 Tagged Faith Ed, religion and public schools, Women's March on Boston. Bookmark the permalink.